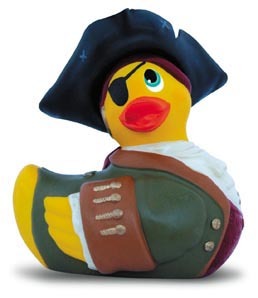 Our Pirate Duckie features a strong, quiet motor, and unlike most seafaring scoundrels, is waterproof and floats, so he is ready for hours of adventure on the high seas! Beware! 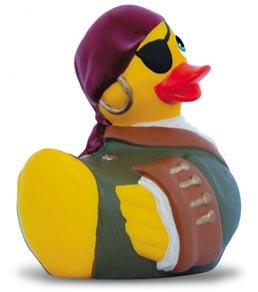 the Pirate Duckie is ready to plunder your treasure! 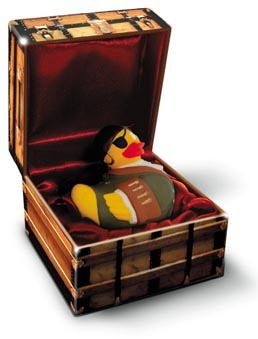 Treasure Chest box included.